“We understand that commitment and responsiveness will separate us from our competitors seeking to fulfill similar opportunities. Partnering with E-MetroTel for the launch of UCx in the Caribbean market will provide businesses, enterprise customers and governments significant value in addressing their current and future communication needs. 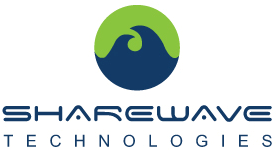 It’s the right product at the right time and we are excited to be the preferred UCx channel partner for our region.” Delano Vaz, CTO, ShareWave Technologies. “One of our core principles at A1 Teletronics is a dedication to service excellence that is built on a foundation of providing customers with the right products to meet their needs, exceptional service and total customer care. With the E-MetroTel portfolio, we have an incredible platform that delivers tremendous value in a compact, low-cost appliance server that helps Enterprise customers easily migrate to VoIP and Unified Communications at their own pace. The UCX solution is an innovative evergreen alternative to the more traditional total replacement approach that is much more costly and disruptive. Customer acceptance has been phenomenal and we are thrilled with our strategic partnership with E-MetroTel.” Patti Woods, President, A1 Teletronics, Inc.
“Callisto Communications prides itself in making the impossible possible. We can assist clients in numerous vertical markets by lowering costs, envisioning and achieving goals, and reducing stress points in the evolving and merging technologies of voice and data. From general maintenance and support to turnkey VoIP system upgrades, to UC migrations and everything in between, we have the Nortel engineering expertise and E-MetroTel UCX knowledge to address the financial and business objectives of small to large enterprises. The E-MetroTel UCX portfolio of servers and ready-to-use applications make migrating to VoIP and UC simpler, more cost-effective and less disruptive and we are excited to be able to offer the UCX to our customers.” Greg Wallach, Partner, Callisto Communications. “With over 50 years of combined telephony experience, and being a company of former Nortel employees, UCI direct is happy to be part of the E-MetroTel family. When we began looking for the best solution to help installed Nortel customers we found that UCx was a natural fit for our company. In fact UCI direct has been so happy with the products, and the support and service that we receive that E-MetroTel solutions are the only IP Voice solutions that we offer and sell to our resellers and customers.” Steve Boggs, Sr. Manager - Sales & Marketing, UCI direct.